Learn Chinese Now! 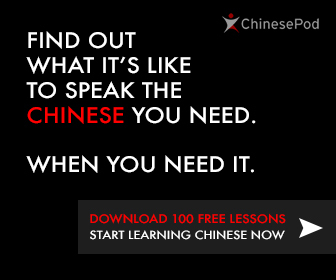 What Is The Best Way to Learn Mandarin Chinese and Speak It Fluently? welcome to my new journey — my name is Brett Slansky, but my Chinese name is 武睿杰 (Wǔ Ruì Jié). 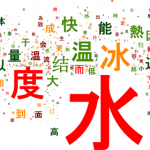 I would like to welcome you to my blog about Chinese language and culture. Since I was small kid I have always dreamed about learning to speak and read Chinese. But back in those days living in a small village in the Czech Republic it was very hard to find any publication on the topic or a teacher. So for a very long t ime I put that dream aside. And many people let me believe that learning Mandarin Chinese is very difficult. In the mean time I started to practice martial arts especially Chinese Kung Fu, since I loved Jackie Chan, Jet Li’s or Donnie Yen’s movies. My martial arts journey took me to United States, where I stayed for around 10 years. Got very busy there and had no recollection to my earlier dream of learning the ancient language. But at least I learned another important language — English! All happened when I decided to travel to Hong Kong and learn from one of the most recognized kung fu teacher there. While I was in Hong Kong I felt so happy. All the people around me where giving me some kind of energy. I felt so great, that I even did not feel like leaving the place. That experience got me into thinking. — Let’s start to learn Chinese! And by that I mean to learn how to speak, how to read and all about this amazing culture. Its been three weeks since I have decided and I got an idea of starting this blog about my journey to taking small steps to achieve my dream. It will become my own journal — I hate to waste paper and like this I can keep my notes online and since WiFi is everywhere these days, it will help me to be on the right track. Maybe even you will find some good information about learning Chinese from my experience, maybe you would like to learn the language, but people tell you it is hard. Do not worry. You can do and achieve anything. 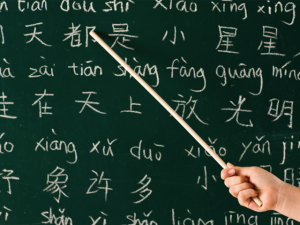 So if learning to speak Chinese for whatever reason is what you love to do, by all means do it! What are my reasons to master Chinese language? Well, my main reason is that I have always wanted to learn it. I have no idea how it did got inside my head, but maybe because I have been practicing martial arts since I was 6 years old and watched a lot of Kung Fu movies. I enjoyed the message that those movies tried to convey. But it was about a year ago that I started to really think about tackling this unusual task. 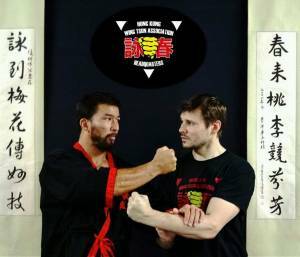 I was in Hong Kong and have a conversation with my Sifu – martial art teacher. And the message I got from the conversation was that I need to start thinking as a Chinese to really get the ideas of the martial art of Wing Tsun. Most of these ideas are written in Chinese poems and when they get translated by someone who does not practice, its impossible to get the meaning. And that is why I really want to read the characters, so I can understand my art into more depth. Another reason is that I really enjoy to be around my Chinese friends. Every time I visit, they make me feel so great. I love their hospitality and the least I can do is to show them how much I do appreciate them, is to talk to them in their language. Or at least that is my intention. So let’s see how it will go and this blog or online journal will be the proof! The last reason is very simple, yet very profound. The language is spoken by more than 1.3 billion inhabitants of the planet Earth! No wonder why China after the economical reform has become a world’s fastest growing nation in the history. A lot of companies are starting doing business in China and I truly believe that it is where the future is. People have to wake up now or it will be too late. The best way to make great connection is trough the language. So if you do not speak, you cannot make them. Well, when I came to the USA and spoke only Czech, they would look at me like crazy guy. But since I showed them my efforts of learning their mothers tongue, I made a lot of great friendships. This will of course be the same with any other language or culture. Hmm… why having goals is important you ask??? Simply because having them will help me to progress faster. As soon as I hit some smaller goals I believe it will help me to reach bigger goals. If you want to be good at something you need to have some goals, otherwise how would you measure your progress or know if you already reach what you went after in the first place? 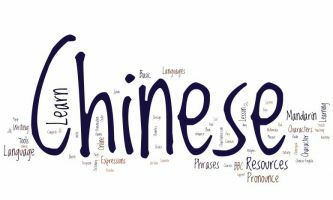 1 – Within the 12 months I would recognize at least 800 most common Chinese characters and I would also know how to write them correctly. 2 – Within the 12 months I would be able to have simple conversation about myself, my family, eating, shopping and meeting people. 3 – Within the 12 months I would be able to watch Chinese movies, listen to Chinese radio and read books so I can understand at least 75% of the information. After that I would like to visit China and learn the language at language schools or university for at least 3 months in a year. That way I can be completely immersed to the language and culture. But until that time I will study only by my own. Many people already told me that it is impossible to learn without teacher, but I believe that if you truly want something you will do it no matter what. So I will choose methods that will make me happy and therefore I will always keep learning. Having some online tutor or a friend who would is a natural Chinese speaker just to help me to overcome any shyness of using the language and help me to become more fluent. These 5 steps I believe are necessary for learning any language. I did it with English all on my own. Granted, I lived in USA and that was a great way to learn the language and it was much faster, but I do not want to find any reasons why I cannot learn Chinese. The last thing I want to mention is that there are many dialects in China. Well, the term dialect is wrong I guess. They are more like different languages. So if I say I am learning Chinese I mean the standard national language or PuTongHua 普通话. But as soon as I know I can understand people speaking Mandarin, I would like to add Cantonese as well, since it is spoken in Hong Kong and southern parts of China. By now, you are probably thinking I am completely crazy. Ha ha ha…its OK though. It wouldn’t be so much fun if it would be easy. But based on this article about Chinese behavior on public, I think I will just fit right in… lol! If you want to see how my journey is going, make sure you bookmark this blog and come often. Thank you for your time and please, keep your fingers crossed for me!